Get ready for a weekend of the best summer shopping! From July 27-29, independent retailers and national chains will set up shop with too-good-to-resist deals on the sidewalks throughout downtown. Find great deals on apparel, shoes, one-of-a-kind accessories, jewelry, decorative arts and more! New this year Downtown Evanston is hosting a Sidewalk Chalk Art Contest to add color and design to the downtown sidewalks and create a friendly, artsy competition between businesses, artists and families in Evanston! The sidewalk in front of storefronts will be decorated on Friday afternoon and evening. Come out on Saturday to view the outdoor art gallery while you shop and eat downtown. The double asterisk next to a business name indicates that they will have chalk art design! Join us on Saturday and Sunday from 1-2pm for buskers at Fountain Square! Aaron Smith will play banjo and guitar on Saturday and Alisa Rosenthal will play ukulele on Sunday. Music sponsored by First Bank & Trust. Bring the kids on Saturday for balloon twisting and face painting from 12-2pm at Fountain Square, sponsored by Christopher B. Burke Engineering. There will be big games (Jenga and Scrabble) and ping pong as well! Below are the businesses participating in the Sidewalk Sale with special sale information listed as available. Gap | 1706 Sherman Ave.
Stop by for buy-one-get-one half off on EVERYTHING (inside and outside the store, sale and full-priced items!) Great sale racks outside on men's, women's, kids and baby clothes! Accents Plus | 601 Davis St. The summer sale is all the rage! Stop in for 40-50% off spring and summer apparel. Stop by for lots of goodies outside including housewares and accessories and $1 sale bags inside. Take an additional 30% off all sale merchandise including Northwestern University t-shirts, sweatshirts and gifts! Stop by Friday, 10am to 5pm and Saturday, 10am to 3pm. Closed Sunday. Becky & Me Toys | 620 Grove St.
Be sure to stop by on July 27-28 for great toys, books, games, novelties, and more marked down 20-50%! Brands include Playmobil, Corolle, Calico Critters, Brio, Creativity for Kids and more. Plus, there will be $1, $2, $5, and $10 bins with items that are up to 90% off the original prices! Come early for the special "Christmas in July" sale Tuesday to Thursday from noon to 3pm for additional discounts on big Playmobil sets, Thomas and Friends, toy chests, and more! Get inspired to create more this summer with great deals on art supplies, gifts and more! 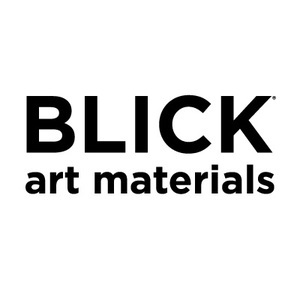 Special thanks to Blick for sponsoring the Chalk Art contest with pastels and prizes! Bloom 3 | 1503 Chicago Ave.
Stop by for unique and vintage finds outside at Bloom 3! 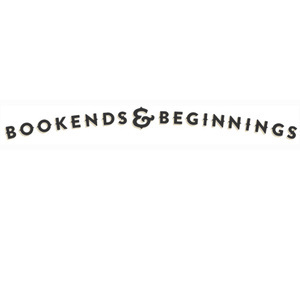 Great deals on new and used books and a special chalk art drawing by one of the team members at Bookends & Beginnings. Plus, pick up a Find Waldo Local passport to give the kids a fun activity while you shop! Looking for a new piece of art for your home? Stop by Bottle & Bottega for a discounted painting and get 15% off if you sign up for an art & wine night while you're there! 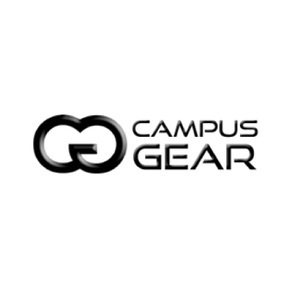 Campus Gear | 1722 Sherman Ave.
Stock up on t-shirts, hats and more all marked down 50-75% off! And, Cubs fans don't miss out on 1/2 off all Chicago Cubs Championship merchandise. 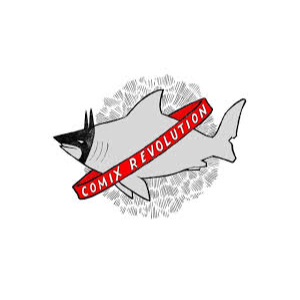 Comix Revolution | 606 Davis St. Check out a great selection of graphic novels for $5 and hardcovers for $10! Close Knit | 1630 Orrington Ave.
Stop by on Sunday at 2pm to learn how to make a pompom! Free and open to all ages -- great kids activity! Close Knit is also one of the stops on the Chicago-area Yarn Crawl which begins Saturday, July 28. Stop by to pick up a passport! Coucou & Olive will have new sale items 50-75% off plus Kellie's Barely Worn Rack (a collection of unique designer clothing from owner Kellie Poulos!) and vintage finds! Don't miss out on these sales! Crossroads Trading Co. | 1730 Sherman Ave.
Head over to CycleBar for 25% off select merchandise! While you're there, ask about special offers for first-time riders! Don't miss the Christmas in July special on classes only available through July 29! Check out CycleBar website for more info. Lots of great sales on clothing and accessories...racks inside and outside the store on July 27-28. Note that the store is closed on Sunday, July 29. Keep the kids busy during the last month of summer! Evanston Games & Cafe is offering 15% off games rated for ages 2+, 5+, and 8+, along with a general clearance sale. Plus, anyone making a purchase can roll jumbo-sized "prize dice" to win a prize such as a free drink, an extra percentage off, a mystery game, etc. Stop by on Saturday, July 28 for a hot dog! First Northern Credit Union will have a hot dog cart outside of their business from 11am to 1pm. Gather | 602 Davis St. Swing by Gather to view their creative play space and check out the chalk art! Ask about new language and music classes now offered at Gather. Gigi Bottega | 612 Davis St.
Don't miss the awesome $10 & $20 racks as well as 50-70% off clearance items! Refuel with some arepas or tacos and check out the chalk art! Next of Kin and Kinship | 625 Davis St.
Next of Kin and Kinship are always serving up delicious food and on Friday will be creating a chalk art masterpiece! Stop by to grab brunch or lunch and watch chalk art in action. Check out the art installation inside and outside of this new art school and gallery! The Pop Up Gallery features arts and crafts by a variety of artists. Products range from jewelry to soap to illustrations to pillows and more! Stop by to welcome this new store to downtown Evanston and meet some of the artists! 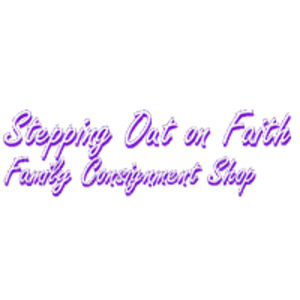 Step into something new at Stepping Out on Faith! Take 25% off all clothing and accessories outside of the store. Open Friday, Saturday and Sunday! Grab some tasty Mexican food while you shop and get inspired by the chalk art design! Uncle Dan's | 1600 Sherman Ave.
Up to 50% off past seasons' styles from your favorite brands. Urban Outfitters | 921 Church St.
Stop by Urban Outfitters for some great deals! Take 25% off all women’s tees, tanks and bras, 25% off all men’s tees and an additional 30% off all sale merchandise. We’ll be open 9a-9p Friday and Saturday and 10a-7p Sunday! Vinic Wine | 1509 Chicago Ave.
Stop by Vinic for surprises inside and outside the store and enjoy a glass of wine. Visiting Angels of Evanston | 518 Davis St.
Stop by on Friday to learn about their services and meet staff members! Celebrate biking at Wheel & Sprocket's annual sale! All bikes will be an additional $50-$200 off and there will be great discounts on accessories too! Williams Shoes the Walking Spirit | 710 Church St. Check out racks and racks of shoes on sale!